Just incase this happens to you. I was cutting some parts and ran the wrong tile cut file. A part popped out and the bit jammed. As I continued routing the remaining tile files. I had several files that were badly cut. Circles became ovals. It wasn't at all consistent in the errors. After several attempts I didn't realize that the router had moved on its attach point on the Handibot. The result was small movement in the X axes. So small that it was hard to detect by watching. After thinking about it for an hour or two I decided to try to move the router by hand. It would move about .05 mm left and right parallel to the mounting surface on the Handibot. This would translate to about 3mm at the end of the bit. I removed the router and the top mounting bracket to access the screws to inspect the mount. The screws were snug but not tight. The mount is two flat surfaces held by two screws. I am suggesting changing this to an alignment slot or a steel alignment pin be installed on these parts to prevent this from happening in the future. It's a lot of torque on this part and over time it is likely to happen again. Edited 1 time(s). Last edit at 11/14/2018 02:25PM by jack49. That's a good point Jack--in the end, I suspect that providing multiple attach points for the router bracket has been more complication than it was worth. The idea in the design phase was that we'd need to accommodate multiple end effectors that might be very tall or very short--requiring a variety of bracket configurations. That hasn't been quite as common a need as I anticipated early on--so a permanent mounting position would help stability and not prevent any accessories from being used with the tool. I have a follow up on the Handibot. This has shown up several times on a short cut leading to a right angle. I believe the router is moving on the -x axes. It is repeatable and does not happen on other pieces during the same cut. Any suggestions? I would recommend reducing the "jerk" or ramp rate for the tool. Jerk is, literally, the rate of change in acceleration (or the third derivative of position)...but in general just controls how aggressively the tool takes turns. A high value, like 250 in/s/s/s will slam into corners--making the cut file run really quickly at the cost of cut quality and precision. This makes sense for some of the big spindles and larger tools. On a Handibot, I've been getting more and more conservative with Jerk over the years--with a small cut area, the aggression in corners really doesn't make the cuts much more efficient. I would recommend setting it somewhere between 15 and 25 for all three axes. This setting is found on the "axes" tab of the configurations menu in FabMo. Thanks for the help. My "Maximum Jerk" is set to 25 but the "High Speed Jerk" is 10000 on the three main Axes XYZ. Should I adjust the Maximum Jerk only and should I go to 15 directly or try incremental steps like 20? 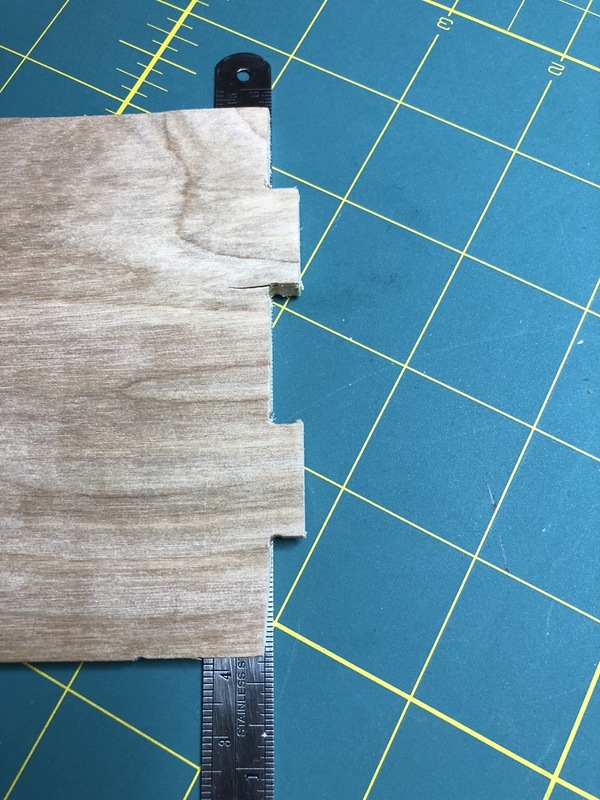 what about cut speed and pass depth--what are you using for those values in vcarve? It might be helpful to try reducing your pass depth (the depth of plunge for each pass of the tool) -- these options are part of the tool profile...when you select your tool for a cut, you can click "edit" to change the cut speed and pass depth for the path. 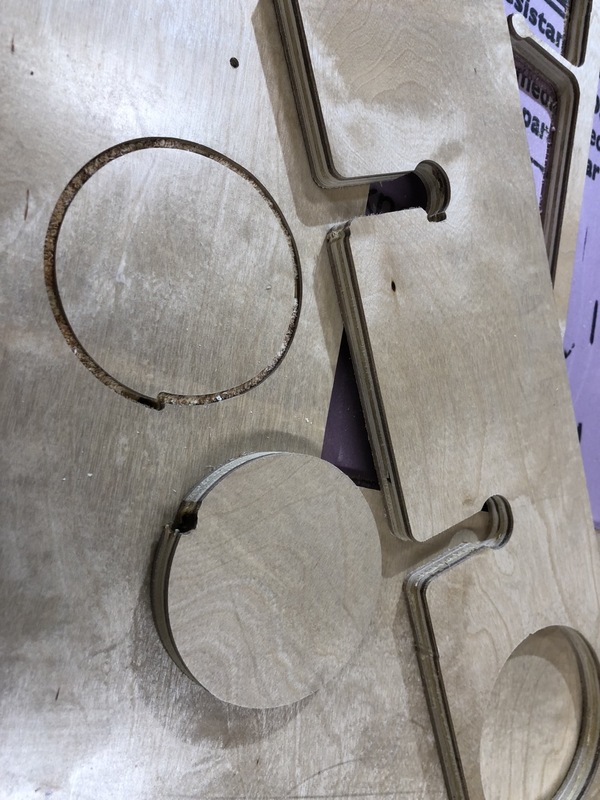 The tools or bits I'm using are the stock settings for Shopbot bits. I'll adjust and see if that helps. Again on the "High Speed Jerk" settings at 10000. Is that correct? Yep--High Speed Jerk at 10000 is correct. I think that it would be worth trying the path with a federate of 1.5 inches per second (90 inches per minute) and a pass depth of 0.1" per pass (that's assuming that you're using a 1/4" bit). The standard values usually work--but different materials will do better with more conservative values.